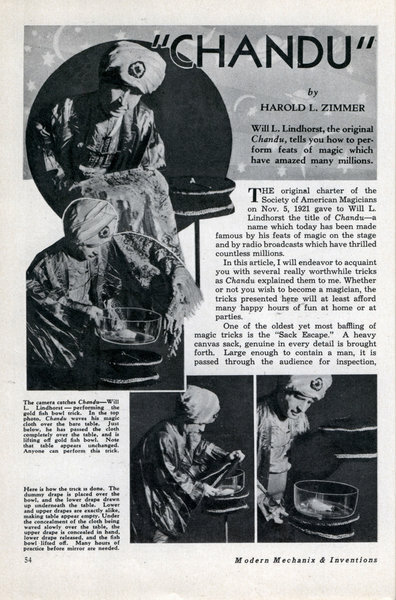 by HAROLD L. ZIMMER Will L. Lindhorst, the original Chandu, tells you how to perform feats of magic which have amazed many millions. 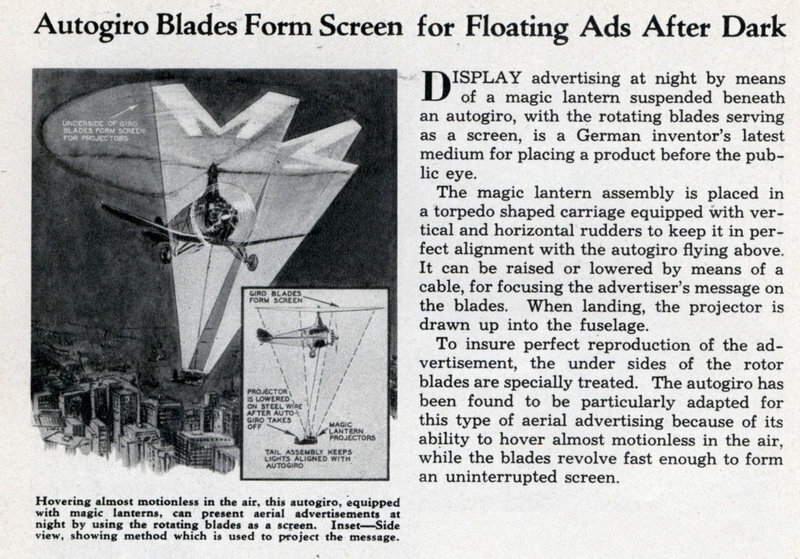 THE original charter of the Society of American Magicians on Nov. 5, 1921 gave to Will L. Lindhorst the title of Chandu—a name which today has been made famous by his feats of magic on the stage and by radio broadcasts which have thrilled countless millions. 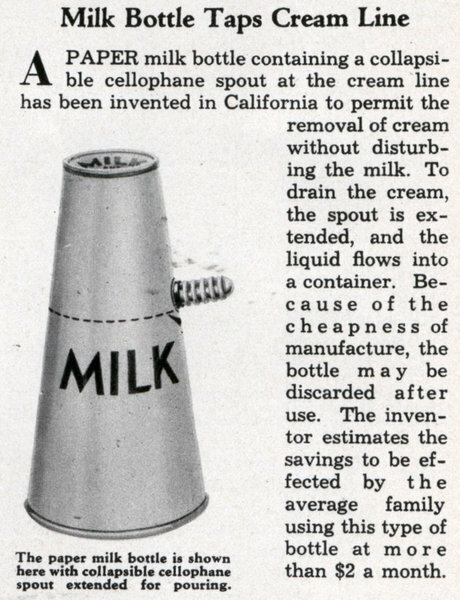 In this article, I will endeavor to acquaint you with several really worthwhile tricks as Chandu explained them to me. 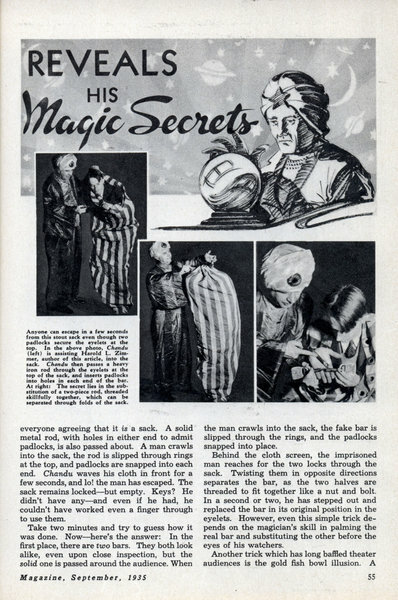 Whether or not you wish to become a magician, the tricks presented here will at least afford many happy hours of fun at home or at parties. 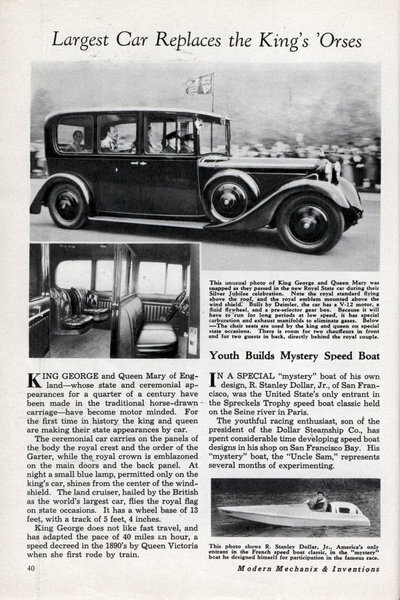 KING GEORGE and Queen Mary of Englandâ€”whose state and ceremonial appearances for a quarter of a century have been made in the traditional horse-drawn -carriageâ€”have become motor minded. 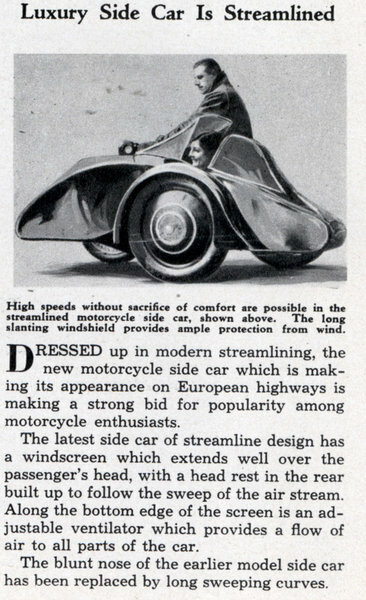 For the first time in history the king and queen are making their state appearances by car. 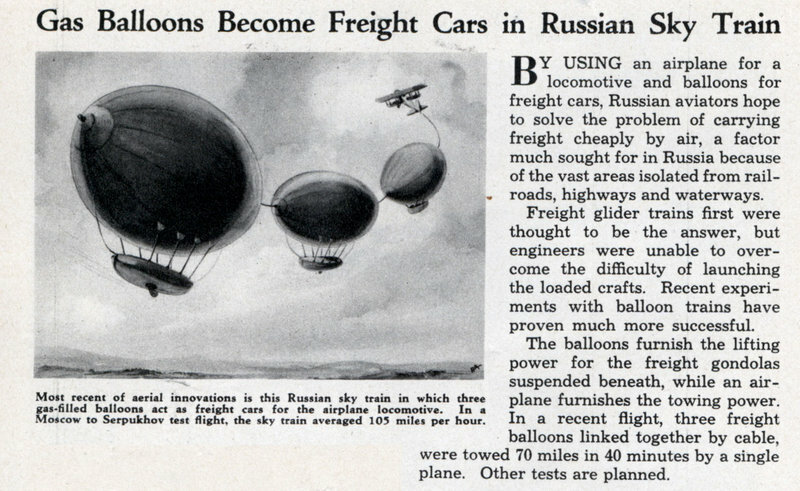 BY USING an airplane for a locomotive and balloons for freight cars, Russian aviators hope to solve the problem of carrying freight cheaply by air, a factor much sought for in Russia because of the vast areas isolated from railroads, highways and waterways. 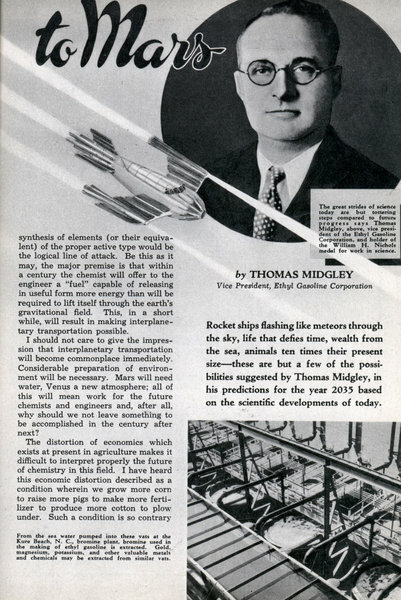 Rocket ships flashing like meteors through the sky, life that defies time, wealth from the sea, animals ten times their present sizeâ€”these are but a few of the possibilities suggested by Thomas Midgley, in his predictions for the year 2035 based on the scientific developments of today. 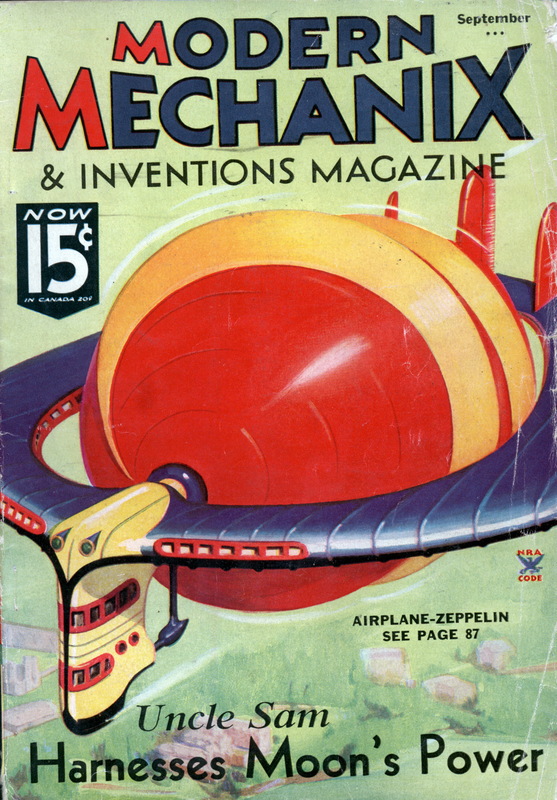 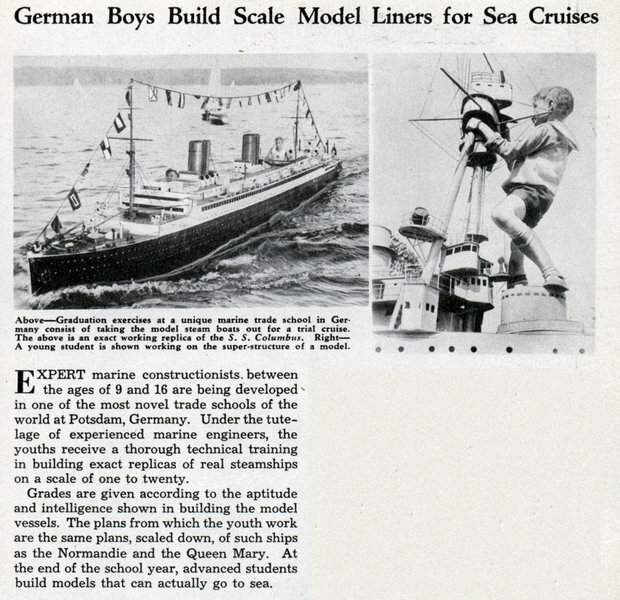 by THOMAS MIDGLEY Vice President, Ethyl Gasoline Corporation WITHIN the next century many discoveries will be made. 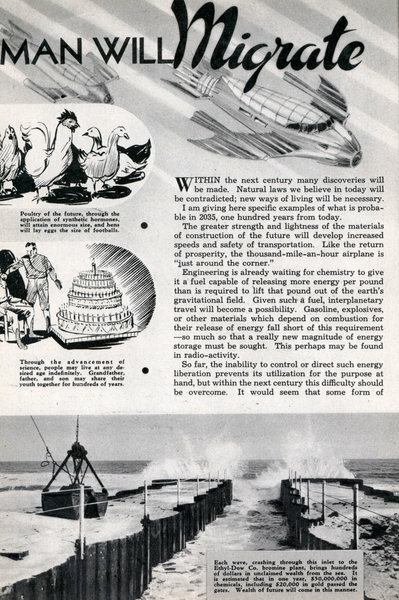 Natural laws we believe in today will be contradicted; new ways of living will be necessary. 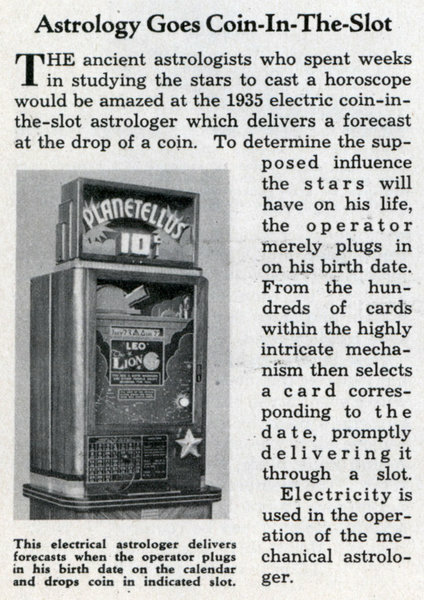 I am giving here specific examples of what is probable in 2035, one hundred years from today. 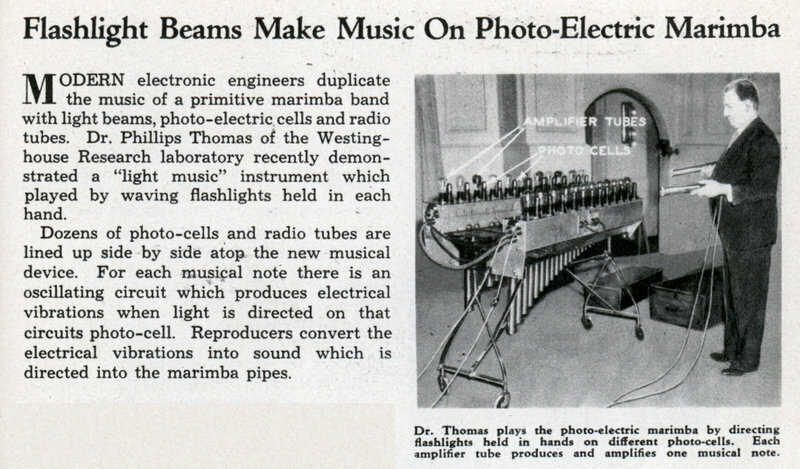 MODERN electronic engineers duplicate the music of a primitive marimba band with light beams, photo-electric cells and radio tubes. 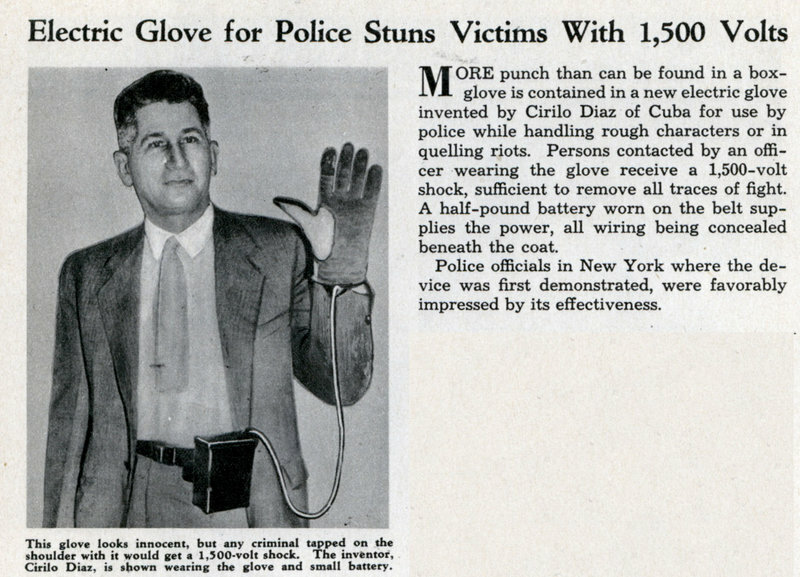 Dr. Phillips Thomas of the Westinghouse Research laboratory recently demonstrated a "light music" instrument which played by waving flashlights held in each hand. 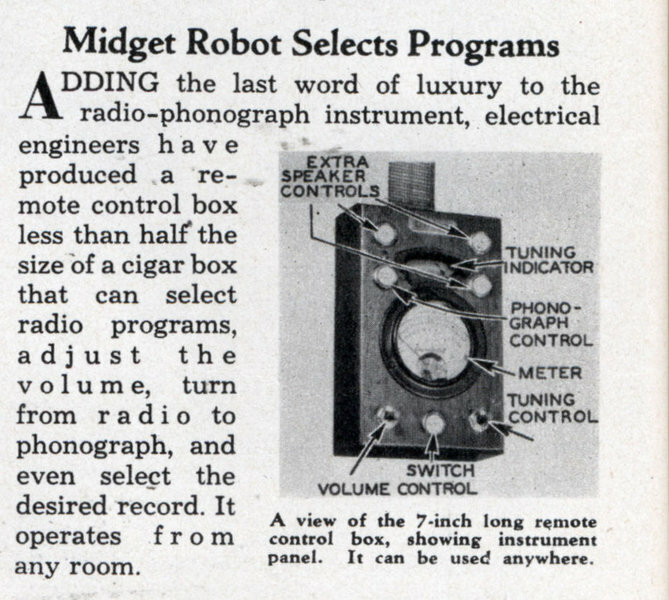 Midget Robot Selects Programs ADDING the last word of luxury to the radio-phonograph instrument, electrical engineers have produced a remote control box less than half the size of a cigar box that can select radio programs, adjust the volume, turn from radio to phonograph, and even select the desired record. 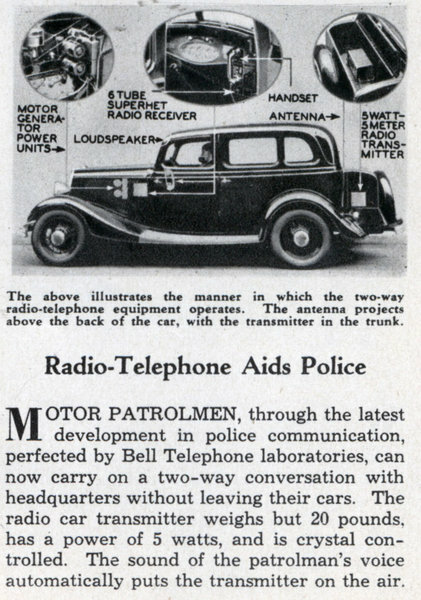 It operates from any room. 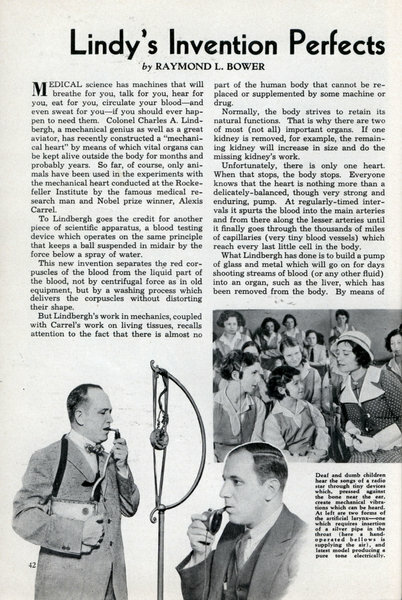 Lindbergh's new "mechanical heart" calls attention to the fact that medical science even now has marvelous machines which will replace parts of the human body or do the work of parts that fail. 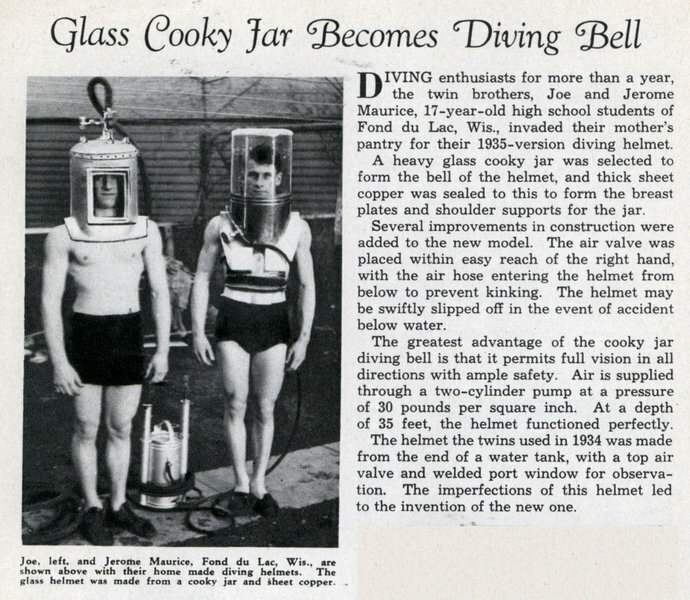 by RAYMOND L. BOWER MEDICAL science has machines that will breathe for you, talk for you, hear for you, eat for you, circulate your bloodâ€”and even sweat for youâ€”if you should ever happen to need them. 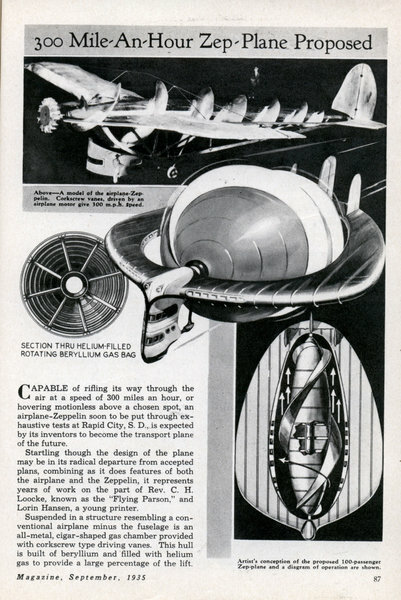 Colonel Charles A. Lindbergh, a mechanical genius as well as a great aviator, has recently constructed a "mechanical heart" by means of which vital organs can be kept alive outside the body for months and probably years. 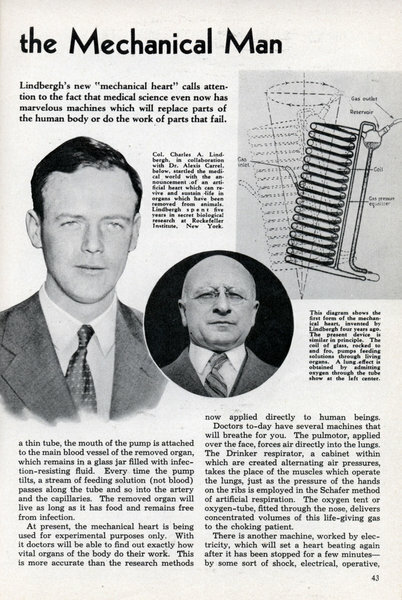 So far, of course, only animals have been used in the experiments with the mechanical heart conducted at the Rockefeller Institute by the famous medical research man and Nobel prize winner, Alexis Carrel. To Lindbergh goes the credit for another piece of scientific apparatus, a blood testing device which operates on the same principle that keeps a ball suspended in midair by the force below a spray of water. 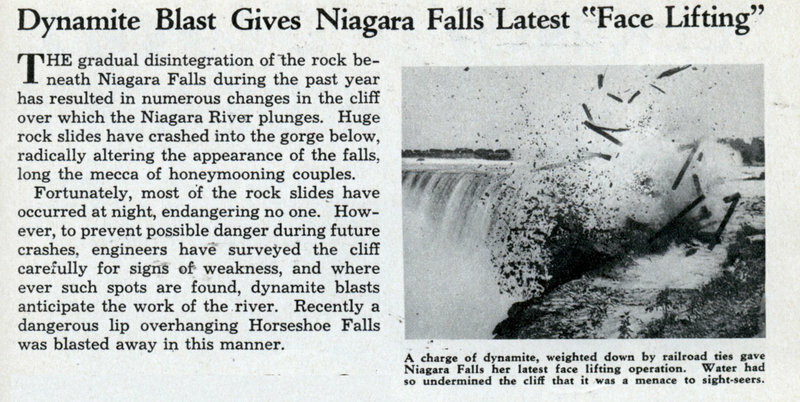 Dynamite Blast Gives Niagara Falls Latest "Face Lifting"
by LIEUT. 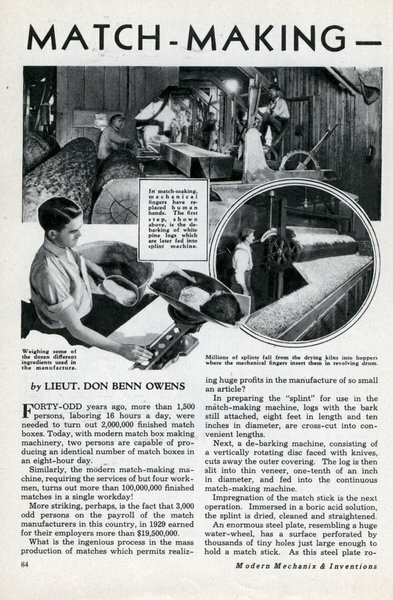 DON BENN OWENS FORTY-ODD years ago, more than 1,500 persons, laboring 16 hours a day, were needed to turn out 2,000,000 finished match boxes. 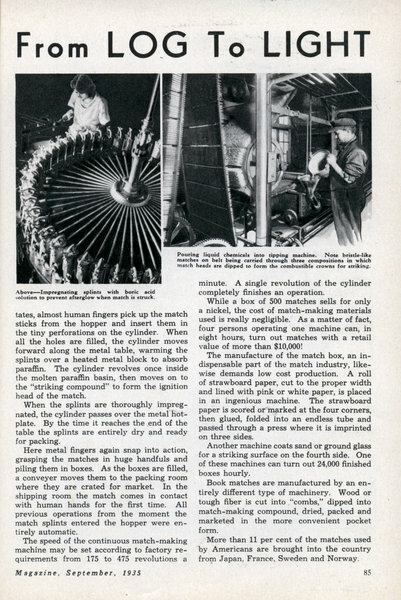 Today, with modern match box making machinery, two persons are capable of producing an identical number of match boxes in an eight-hour day. 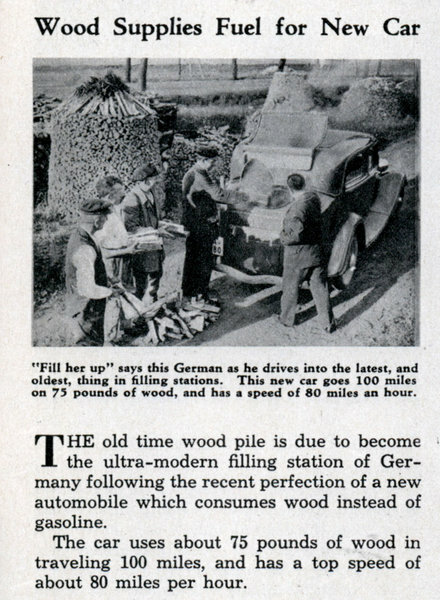 Similarly, the modern match-making machine, requiring the services of but four workmen, turns out more than 100,000,000 finished matches in a single workday! 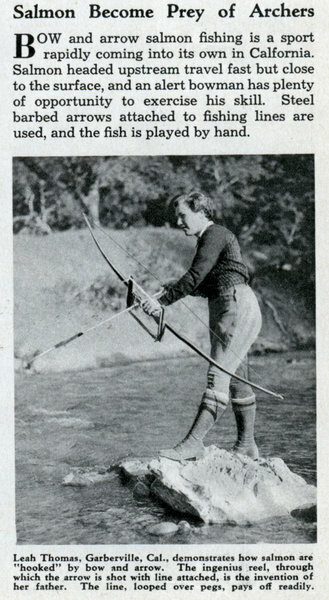 More striking, perhaps, is the fact that 3,000 odd persons on the payroll of the match manufacturers in this country, in 1929 earned for their employers more than $19,500,000.